In one hot summer day, we open one bottle of this fantastic portuguese rosé wine, which had been pre-cooled and our lunch was tapas, the small portions of Iberian snacks. Near a swimming pool with this fantastic wine and tapas, it was a true wonder and a time well spent with friends. Touriga Nacional is a dark-skinned grape variety that is currently very fashionable and is widely believed to produce the finest red wines of Portugal. Extensively planted in the Portugal’s northern Dao and Douro wine regions, the variety is a key ingredient in both dry red wines and the fortified wines of Oporto (Port). In many ways, Touriga Nacional is Portugal’s answer to France’s Cabernet Sauvignon. Both varieties display bold dark-fruit flavors, often with hints of spice, leather and violet. Like Cabernet Sauvignon, Touriga Nacional has firm tannins, is expressive as a varietal wine and shows great aging potential. As a blend, though, it really comes into its own, which is fortunate in Portugal where blends are de rigueur. In Tejo: As Portugal’s most well-known grape variety, it has made a nice home for itself in the Tejo region. Producing wines with high tannins, full body and flavors like dark berries, plums and purple flowers, the grape thrives in southern Portugal’s warm climate. Gewürztraminer is a pink-skinned grape variety that produces some of the most distinctively aromatic wines in the world, in an intense style that polarizes people. Ardent fans of Gewürztraminer adore its highly perfumed scents and slightly spicy flavors, while its detractors lament its lack of acid and obvious fruit tones. Few, however, would deny Gewürztraminer’s presence on the olfactory radar. Literally translated, Gewürztraminer means “spiced Traminer” (Traminer Aromatico in Italian), in reference to the grape’s heritage as a mutation of the Traminer family of grapes. Up until 1870 Gewurztraminer was simply known as Traminer in Alsace, and even until the 1970s both Traminer and Gewurztraminer were used to describe the same grapes. Winemakers of this time can easily be forgiven though, for the Traminer family is notorious for its genetic instability. The best examples of Gewürztraminer are generally regarded as being from the Grand Cru vineyards of Alsace. It could even be argued that Alsace is the spiritual home of Gewürztraminer, despite the fact that it is not its ancestral home and Gewürztraminer accounts for less than one-fifth of vineyard area in the region. The primary aromatic descriptors used to define Gewürztraminer are typically lychee, rose petal, Turkish delight and perfume. On the palate it is marked by its full texture, low acidity, stone fruit (mango, peach and apricot) and spicy (ginger and cinnamon) flavors. Also very good with tapas, small iberian snacks. Family business with decades of experience. The company was constituted in 1994, its origins are a family run business with decades of experience in traditional bakery and pastry products. The conjugation between the mastery of traditional production methods, acquired over more than 30 years of experience, and the incorporation of technological innovations to the processes, made of the company one of the pioneers in the production of deep-frozen bakery and pastry products. 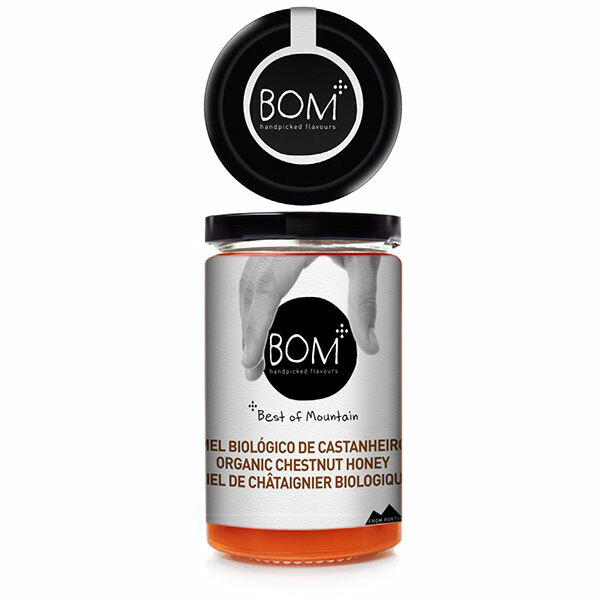 Our products are commercialized under two different brands: Our brand or with or brand for business (Horeca Channel, Hyper and Supermarkets and Vending); and HOMEMADE MOMENTS / Your brand directly for the end client. The company has a wide range of deep-frozen bakery and pastry products, prepared through industrial processes that always respect the quality, aroma, taste and textures of the traditional recipes. Portuguese “Bolo Rei” or King Cake it’s a traditional cake consumed around Christmas, from December until Epiphany (Dia de Reis in Portuguese, literally “Kings’ Day”, a reference to the Three Wise Men), on 6 January. It is a staple dessert in any Portuguese home during the holidays. We have available King Cake in dough or ready. Anyway all the King Cakes are delivered frozen worldwide. King Cake in Portugal it’s considered one delicatessen cake, very appreciated by all Portuguese people. 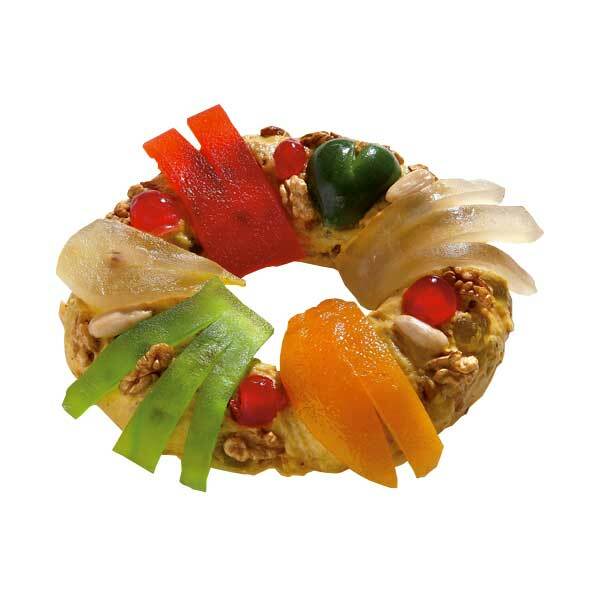 In Portugal there is no Christmas without the king cake. Maybe the most iconic Portuguese cake. 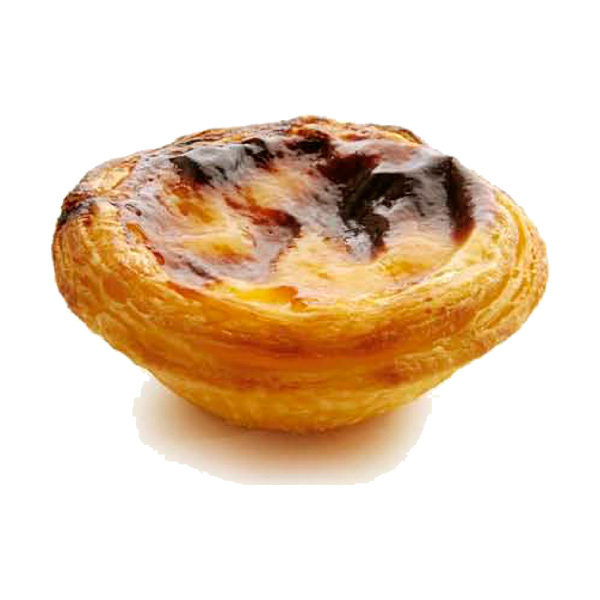 The custard egg tart, or in Portuguese “Pastel de Nata”, is one of the cakes available in all pastry shops in Portugal every day. The custard egg tart it’s one of the favorite cakes of the Portuguese, but not only of the Portuguese people, but also of all tourists who visit us daily. We have available a full line of breads and pastries, prepared through industrial processes that always respect the quality, aroma, taste and textures of the traditional recipes. 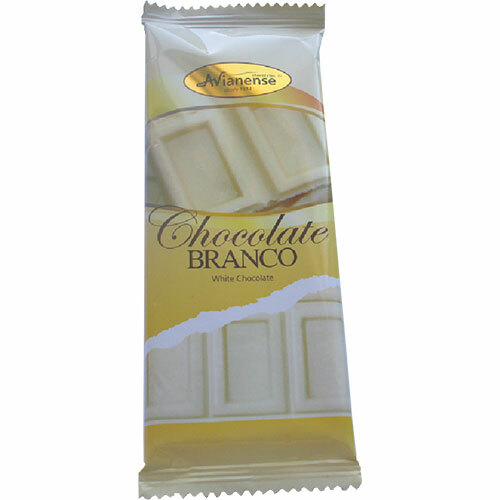 Premium quality white chocolate bar with 50grs of authentic flavour. The package may be designed in accordance with customer instructions (Minimum quantity required). Visit our catalogue online and check all the chocolates available. Our white chocolate it’s a true chocolate, produced with cocoa butter and skimmed milk powder. It’s a delight in your mouth, taste these wonderful chocolate and you going to repeat. During the manufacturing process, the dark-colored solids of the cocoa bean are separated from its fatty content (as with milk, semi-sweet, and dark chocolate) but, unlike conventional chocolates, the cocoa solids are not later recombined. Our white chocolate it’s an old recipe with many years. Organic Product PDO (Protected Designation of Origin). The Orgenic Extra Virgin Olive Oil from Trás-os-Montes in Portugal, giving it features absolutely unique flavor of fresh fruit, almond and a remarkable sense of green, bitter and spicy. Is an organic extra virgin olive oil with flavor balanced between the fruity, bitter and spicy. It is an organic extra virgin olive oil produced from the varieties: Cobrançosa, Cordovil, Madural and Verdeal. Organic extra virgin olive oil with low acidity 0.1%. In Portugal, our mountains give us unique organic products. With dedication, patience, wisdom and respect for nature, we have gone through hills and valleys, under rain and sun, to pick just the best. 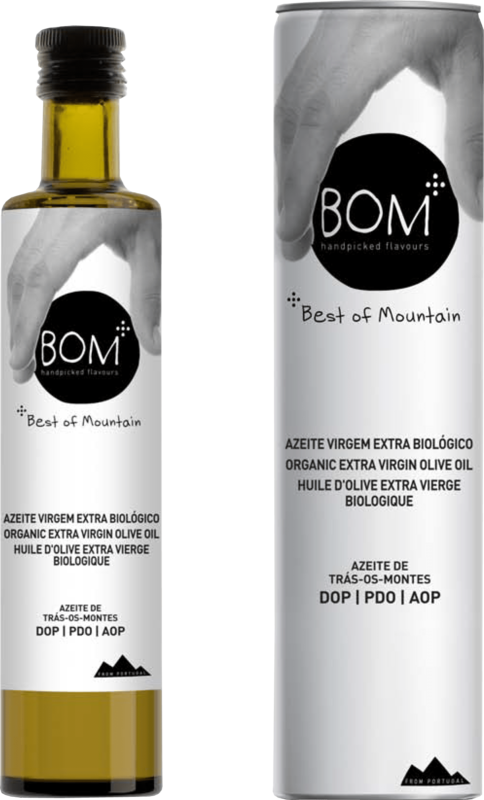 From manual work and tradition we bring you BOM – Best of Mountain, that means not only “good” in Portuguese, but also hand-picks each one and delivers a unique worldwide quality. Available in 350 grs packaging. Verdisa Green White wine is composed with a fine variety of grapes. 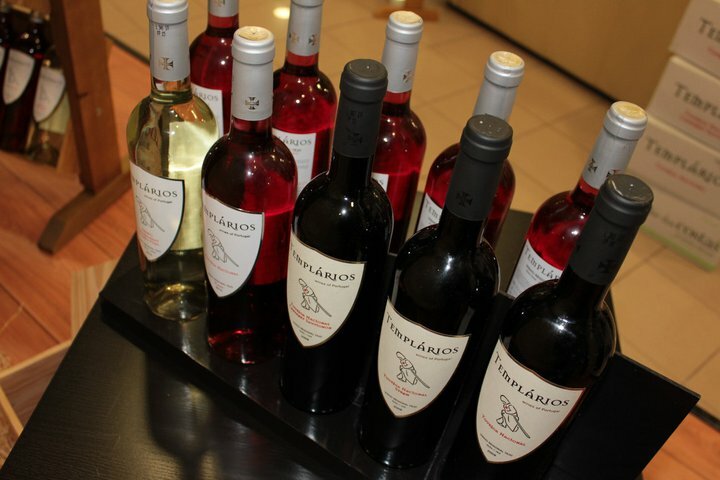 White citrus color, fresh-flavored, fruity and rounded with an intense aroma to the grapes. A wine to be drunk with light meals dishes, salads, sushi, fish and seafood.